City Manager Lon Pluckhahn and Marion Economic Development Corporation President Nick Glew made the pitch to Cedar Rapids Transit: Expand public transit services farther east, across Highway 13, to the police station and 184-acre business park known as the Marion Enterprise Center. Brad DeBrower, CR Transit manager, answered that call, providing statistics and options to the Marion City Council. One clearly rose above the rest. Marion can expand access and give current riders a convenience boost with a new “circulator” route. With this option, Marion would have a transit bus looping the city throughout the day. Riders would connect with other routes through a hub at Lindale Mall. Current service has two routes — 5N and 5S — that travel between Marion and the transit hub in downtown Cedar Rapids. As their names suggest, one route serves northern portions of Marion, the other serves southern portions. It may seem counterintuitive that a reduction of buses in Marion would be better. But the circulator route would offer a larger service area and save riders time. For instance, Ann Roberts, who I met last spring, is an older Marion resident with mobility challenges who needs accessible bus stops near her destination. Because existing routes loop between Cedar Rapids and Marion, Roberts has a short ride to a stop near the Marion Library, but the return trip is nearly the full route. Each trip to the library requires an extra hour that’s spent simply riding the bus. Transit staff looked at a week’s worth of 5N and 5S data — every trip, every passenger — to explore the possibility of Marion’s requested expansion. They learned most stops are regularly used, and that Marion has three hot spots — apartments along 10th Street near the Linn-Mar campus; apartments at the other end of town near Grand Avenue; and Walmart. In other words, an expansion requires a trade off. And, except for the circulator, the trade offs would negatively impact current riders. Marion could, for example, extend one route east of Highway 13, keeping service otherwise limited to Seventh Avenue. This would become the only route to the popular Walmart stop. The other route would enter Marion and loop between the popular northern and southern stops at the apartment complexes. DeBrower would like to see this loop travel as far east as 35th Street, but he can’t guarantee it. He’d also like the two routes to intersect at least once so that riders could wait at a shared stop for the bus going east to Walmart. Even so, if the routes don’t intersect twice, riders would be in a worse situation than now — waiting for the intersecting route to go further east, then either riding to Lindale Mall (where they’ll wait again) or the Cedar Rapids hub. Unfortunately, council members seemed drawn to this frustrating option because it could be done at no additional cost. The business park that city and economic development leaders hope to connect to transit was made possible, at least in part, by $3.2 million in city funds. And tax increment financing was used to develop water, sewer, roads and storm sewers, establishing the now “shovel-ready” lots. 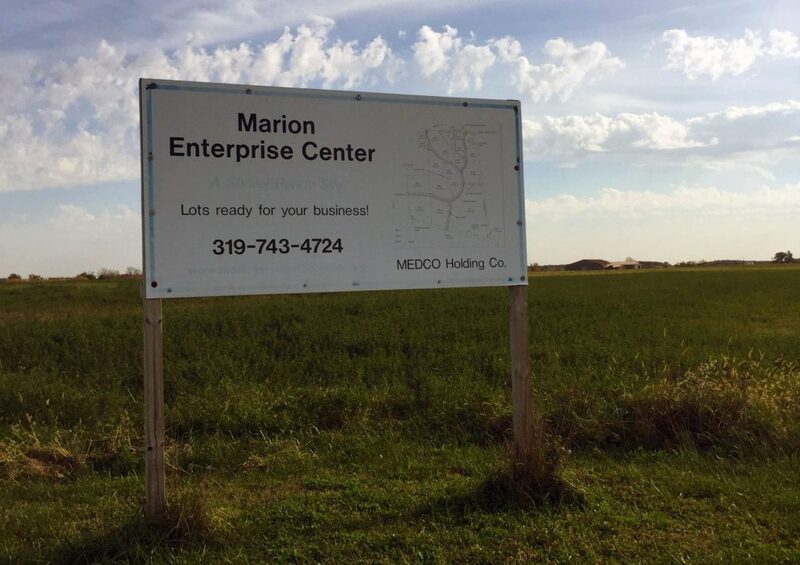 No doubt public transit access would give the Marion Enterprise Center a marketing boost, but such benefits can’t come at the expense of residents who depend on transit services. Cedar Rapids residents have carried more than their fair share of public transit’s cost. Even with state and federal subsidies, Marion’s yearly contribution has fallen about $100,000 short. Future budgets include increases to address this disparity. But if the city believes public transit is important enough to expand, then it’s valuable enough to justify an investment.